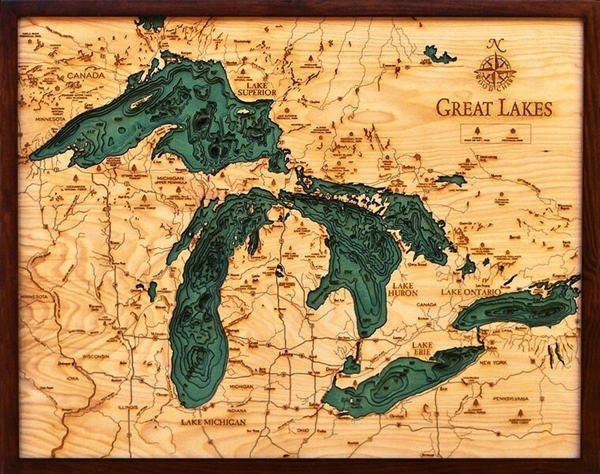 Lake Art Shows How Lakes Were Formed? Lakes are bodies of water contained in a basin and surrounded by land. Millions of lakes are scattered all over the world. Lakes are formed in every kind of environment known to man; near the shoreline, plains, and mountains even in deserts. The water found in lakes either comes from snow, melting ice, streams, rain and groundwater outflow. Also, lakes contain mostly freshwater. Moreover, lakes vary in sizes; some are just a few square meters others which are called ponds. Others are big enough to be called seas. Movement in the Earth’s tectonic plates, glaciers, and volcanic activity create lakes. As well as the wind and river currents help to form lakes. Most of the lakes fill a low-lying area in the earth’s surface referred to as basins. Tectonic Lakes The movement in the Earth’s surface possibly in higher ground or mountain, hills or plateau creates depression along the rupture course. When the surface cracks or breaks faults may form. In time water filled these faults from rainfall or another source of water leakage which forms lakes. Glacial Lakes Estimated about 20,000 years ago, glaciers started peaking in the Earth’s surface; subsequently, it began to slowly melt. Water from the glacier sheets retreating filled the low-lying areas within the Earth’s surface. Around 18,000 years ago melting glaciers formed numerous lakes in the Northern Hemisphere. Volcanoes often form lakes. When a volcano becomes inactive, water or melted snow may fill the crater. This happens when precipitation occurs more quickly than evaporation. Occasionally the peak of the volcano may collapse or blown off leaving a hollow referred to as caldera. Rainwater may also fill the caldera and eventually became a lake. Rivers also form lakes as they flow back and forth expansively across the plains which called meanders. As the river expands, it may create another way to circumvent a river leaving a body of still water, which also forms lakes. Salt lakes or saline lakes were formed when water containing minerals and salt cannot leave because there is no natural outlet in the lake. The water with high level of salinity evaporates leaving the minerals behind. When glacial ice blocks a river or a body of water it forms a lake. In the past, glacial ice dams created a massive surge of floods. Similarly, landslides can also form lakes since there will be a huge buildup of water behind the massive rocks. Man-made Lake or Reservoir Humans can also replicate nature. Man-made lake or reservoir usually serves the purpose of storing and collecting water.